Ada County Parking Garage - McAlvain Companies, Inc. 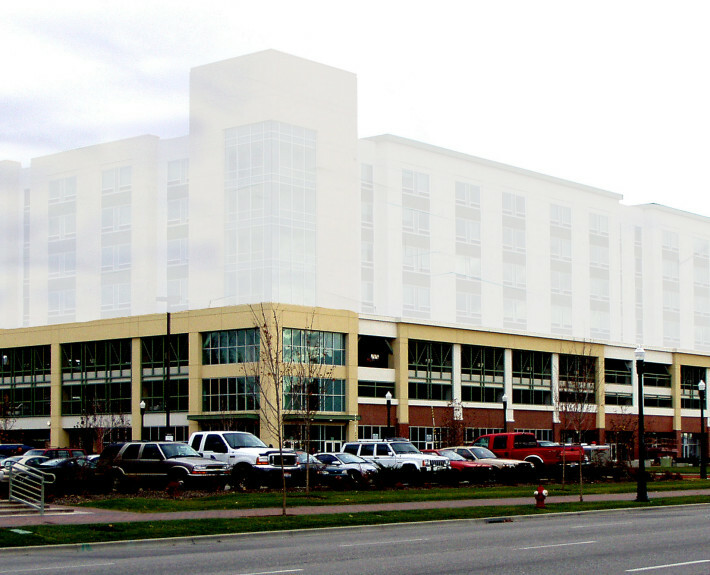 The Ada County Courts Parking Garage is a post-tension parking structure that includes underground long-term parking, ground floor level retail spaces, and three levels of short-term parking above the ground. Underground tunnels were constructed for future pedestrian access to other developments on building pads to the south. Civic Plaza PA3 is constructed above the parking structure.